There’s a lot happening in drone-land these days. Currently eating up all the attention on this side of the globe is Google’s Wing project – which has recently been using unmanned delivery drones to deliver fast food and coffee to residents in southern Canberra – and UberAIR (yes, a flying taxi service) gearing up to conduct trials in Melbourne and Sydney (and possibly Auckland) in the near future. 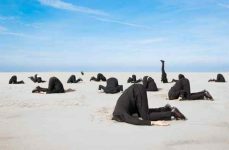 Obvious point: The drone industry is, err, taking off, with one reckoning that the global commercial drone market worth will hit US$2.07 billion within the next four years. But there’s also plenty of action happening beneath the surface. 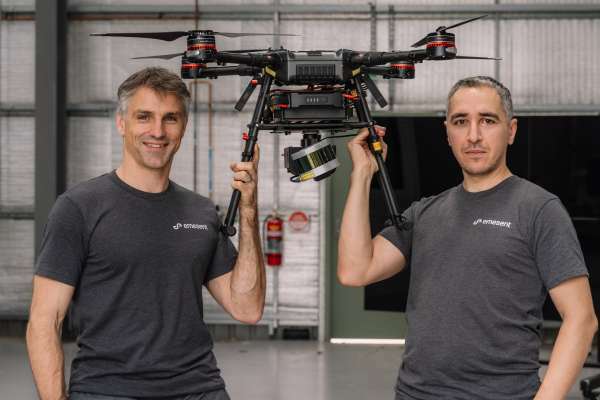 Emesent, a drone autonomy spin-out from CSIRO, recently raised A$3.5 million in venture capital to help get its underground mapping technology, Hovermap, off the ground. Developed by former Data61 researchers, Hovermap automates the collection of data in underground areas too dangerous or difficult for people to survey or navigate. Drones that use Hovermap can be deployed without a human controller in environments that can’t use GPS, creating 3D maps, taking gas readings, recording videos and snapping pictures along the way. 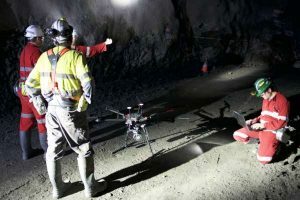 The tech is currently in use in Australia, the US, Canada, China and Japan and last year Hovermap enabled the world’s first fully autonomous beyond line-of-sight drone flight in an underground mine, 600 metres below the surface of Western Australia. “Hovermap enables the mining industry to safely inspect inaccessible areas of underground mines, while improving the type and quality of data collected to unlock new insights,” says Stefan Hrabar, co-founder and CEO of the company. With real world applications running into such areas as underground rail, road transport, telecommunications and disaster response, the commercial opportunities are certainly there, but for now the group says it’s targeting the underground mining sector specifically, providing early access to Emesent’s mining-specific autonomy functions to selected participants. “The investment will give us the opportunity to build our team from seven to 25, and make Emesent a global leader in drone autonomy and automated underground data collection and analysis,” says Hrabar. Across the Tasman, Kiwi drone tech is taking flight too. Startup Dotterel Technologies recently raised NZ$1.06 million from investors which include Australian investment group Jelix Ventures, Stephen Tindall’s K1W1 fund, the NZVIF, Techstars Australian Defence Accelerator and Uniservices, Auckland University’s commercialisation arm. The company specialises in noise reduction and clean audio recording tech solutions for commercial drone applications. “Our audio technology at the moment comprises of a microphone array that is quite large and clunky so we’ve been working quite a lot on miniaturising that technology and getting the microphone much smaller,” says Shaun Edlin, COO of Dotterel. At the moment the company is focused on three key industries. “The first is the screen industry where drones are just too loud to use on set and create a lot of disturbance,” says Edlin. “There’s also quite a lot of activity going on for Dotterel with defence, both in the US and Australia, with our technology is being utilised for stealth. Defence rounds out the three key focus markets. “I think there’s a real opportunity for New Zealand to become a hotbed of drone R&D. 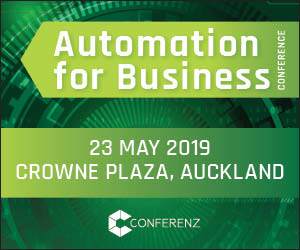 The regulations in New Zealand are conducive to R&D being undertaken here, so right now we’re getting some big drone companies looking at New Zealand. So yes, there’s a lot going on. All the more pity then that the New Zealand government has just announced a surprisingly drone-free plan for its seemingly eternal plans for a Pike River mine re-entry. Last year footage from a camera attached to a robot leaked to the media and sparked fresh calls to enter the mine – perhaps via unmanned methods. At the time it was reported that then prime minister Bill English requested that the then-owner of the mine, Solid Energy, investigate the use of drones in the re-entering project. In September last year however Solid Energy went into liquidation, with GM general manager Steve Esposito stating that a plan was underway with the Department of Conservation to ‘send another robot through’, but that, given the time frames in which they were operating, final say in the matter would likely be left up to the next government. 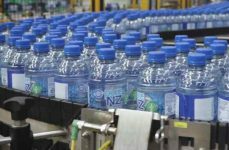 Last month the government released a report on the Pike River re-entry and yesterday Andrew Little, the minister responsible for the Pike River mine re-entry, announced that a re-entry would indeed proceed – drone free. “I’ve decided the Te Kāhui Whakamana Rua Tekau Mā Iwa, the Pike River Recovery Agency, recommended course of action to enter the drift, using the existing access tunnel, is by far the safest option,” said Little. From which we can deduce that this technology has a way to go before it can give the families of the 29 men lost the closure they need.